The Deldossi Group does construction, renovation and restoration with a long history starting in the early 1900s and hand has since been passionately handed down from generation to generation by the Deldossi family. It has always stood out for its craftsmanship and diligence. It pays close attention to choice of material and using the most advanced technologies, in both the construction of public works or industrial buildings or residential solutions such as the new Style & Relax Residence in Desenzano del Garda. It has constructed and designed hundreds of buildings in the provinces of Brescia, Bergamo, Cremona, Mantova, Milan and all over Italy. A high level Technical Office. The Deldossi Group combines vast experience derived from over a century of history and on-site work coupled with the desire to take advantage of new modern building technologies. Feel free to contact our staff of experts backed by the presence of such a highly skilled Technical Office that many of our projects are often featured in sector magazines. 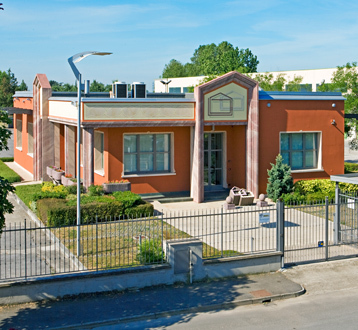 The architectural designs of Deldossi are UNI ISO 9001:2008 certified. A company led by a true professional of the sector. The leader of the Deldossi Group, engineer Angelo Deldossi, is chairman of the Scuola Edile [construction school] Bresciana thanks to his recognised and highly-esteemed professionalism, he has been called upon to be on the board of important agencies such as the driving committee of the Giunta del Collegio Costruttori Edili [Executive Board of the Builders Association] of Brescia; of the Commissione Tecnologia e Innovazione dell'Ance Lombardia e Nazionale [Ance National and Lombardy Technology and Innovation Commission] and of the Commissione del Centro Studi e ricerche Ance [Ance Study and Research Centre Commission], in addition to other positions in the field of training. The century-long tradition of continuing research in the most innovative technologies ensures that the Deldossi Group will continue offering utmost reliability. 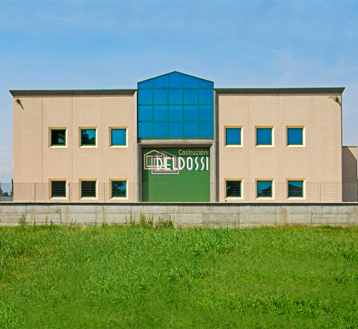 For more information on the company please visit the www.deldossi.it website.